After weeks of gorgeous weekends, with above normal temperatures, the day before the race brought rain to the area. As Saturday morning dawned, organizers of the Knights Challenge anxiously looked out their windows to see if it was raining. Fortunately, it was not. The skies were overcast, and there were typical fall temperatures, but the weather forecast had been updated with heavy rain no longer anticipated until perhaps later in the afternoon. As the first runners showed up at St. John’s Parish Center to sign-in, the sun was actually starting to peak out from behind the clouds. Everyone sighed in relief, as we now expected the last minute onsite registrations would actually come to fruition. 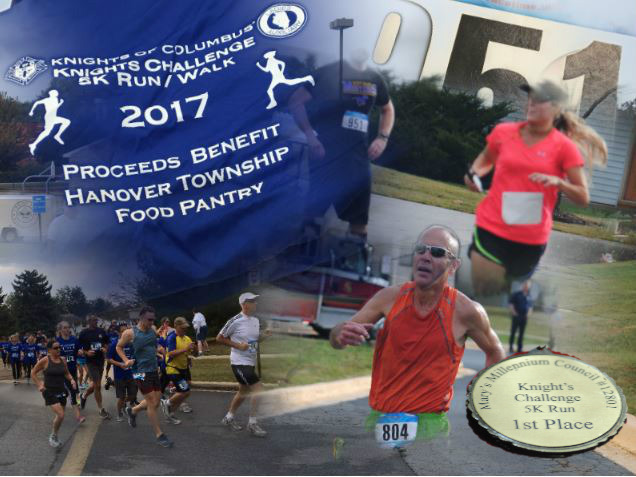 By race time we had 50 runners / walkers present – there are always some participants that preregister that are unable to actually attend the event. There was a gentle breeze blowing, and the mix of clouds and sun produced close to perfect conditions for participants. About half-way through the race, there were a couple periods of light misting, but for the most part, conditions couldn’t have been better. God must have been shining down on all for the work being done to feed the hungry. We’d like to thank all the Sponsors, Volunteers, and Participants for making our 4th annual 5K a success. There are too many people to thank in this article, but we will devote another post to that topic. For those that participated, watch our website, twitter feed, and Facebook page for updates. 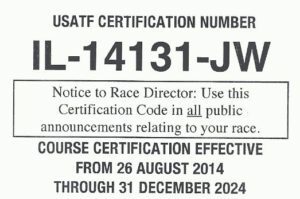 The official results will be posted by Race Time, but if you can’t wait for those to be on their site, contact us with your name and/or bib number and we can provide you with your results. We will be posting pictures from the race as well as more details about race day. 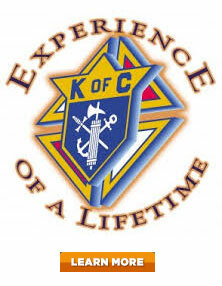 Sign up for our newsletter if you would like to receive updates. We hope that you enjoyed this year’s Knights Challenge and that you’ll be back next year, perhaps with a friend or family member. 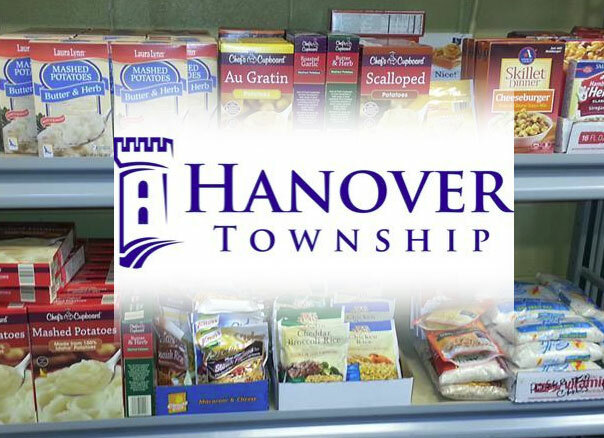 Together we have supported a worthy cause, the Hanover Township Food Pantry, who would also like to express their appreciation.